When compared to the other online retailers, eBay's Lowest Price Challenge for cameras is beating the crap out of the competition. eBay has just kicked off its “Lowest Price Challenge” for cameras and from what we’ve seen so far, some of the deals are actually quite good. We actually went on to Flipkart and Snapdeal as well to see whether this challenge really was offering the lowest price, and surprisingly, eBay does not disappoint! The challenge kicked off yesterday and goes on till the 4th of September, which includes free shipping. While you can go over to their page and see everything it has to offer, we’ve picked out some deals in particular you might be interested in. 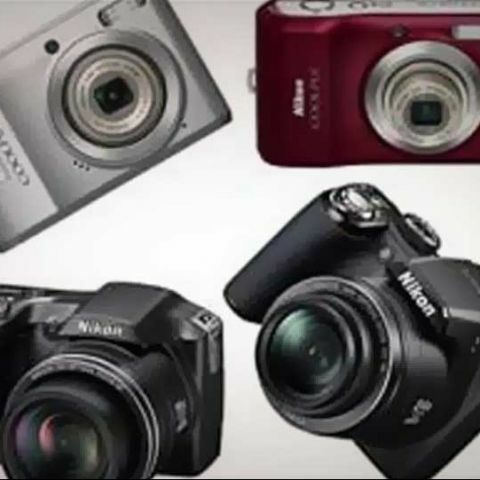 The Nikon Coolpix L820 is a superzoom/bridge camera with a 16 megapixel camera and an enormous 22.5-675mm f/3-5.8 lens. The lens has optical image stabilization built-in and can compensate up to four stops worth of shake. The camera comes in four attractive colours and at this price, is a great steal for anyone wanting a superzoom. In the market for a camera that can handle abuse? Well, the Panasonic FT2 is up on discounts on eBay. Though it has recently been update to the FT3 model, the FT2 is still a pretty competent machine, coming with a 16 megapixel CCD sensor, a 25-100mm f/3.9-5.7 stabilized lens and most importantly, the ability to withstand being submerged in water to depths of about 5m. I t can even “walk away” from being dropped (from about 5 feet or less). One of our reviewers had the opportunity to use the P7700 on a trip to the hills, and due to his DSLR breaking down, ended up using this little guy as his primary camera. Dubbed by him as “the black beauty” in our Coolpix P7700 review, the Nikon Coolpix P7700 houses a 12.1 megapixel sensor along with a 28-200mm f/2.0-4.0 optically stabilized lens. The camera has a ton of dials all over it to bring pretty much every feature you might want to access right to your fingertips. The camera that started a revolution. The RX100 is not just a gorgeous piece of machined metal, but also endowed with some impressive specifications. It houses a large 1-inch sensor with 20.2 megapixels of real estate. The 29-105mm lens has a really fast starting aperture of f/1.8, making this camera an excellent performer in low light, as we found out in our RX100 review. There’s very little room to go wrong with the RX100 and if you need a pocketable camera that can pretty much do it all, the RX100 is a STEAL in this deal. The Alpha 58 is an entry level DSLR (DSLT?) from Sony that performed rather well in our SLT A58 review process. It has a fast AF system, good burst rates, and excellent image quality even at higher ISOs. This is not to say that it’s a perfect DSLR, but for the price it is currently being offered at, anyone who’s finally looking to graduate to the big leagues from a point and shoot might want to consider the A58 seriously. The latest entry level DSLR from Canon, identical to the EOS 650D in terms of specifications in every way, which, we feel, is a good thing. The EOS 650D was a great entry level DSLR with an amazing touchscreen and pretty decent image quality, but the form factor was just not-s-great. That’s what the EOS 700D attempts to fix, with a more curvaceous design, the camera is lighter and a lot more comfortable to hold. The Nikon D7100 is the long awaited update to the very successful D7000, a camera that pretty much carved its own market. The D7100 fared extremely well in our D7100 review and was highly recommended despite its relatively high MRP, but at the discounted price, you'd be a fool to not pick this up. The deals are absolutely great and are running out quick, so you better get on them fast.